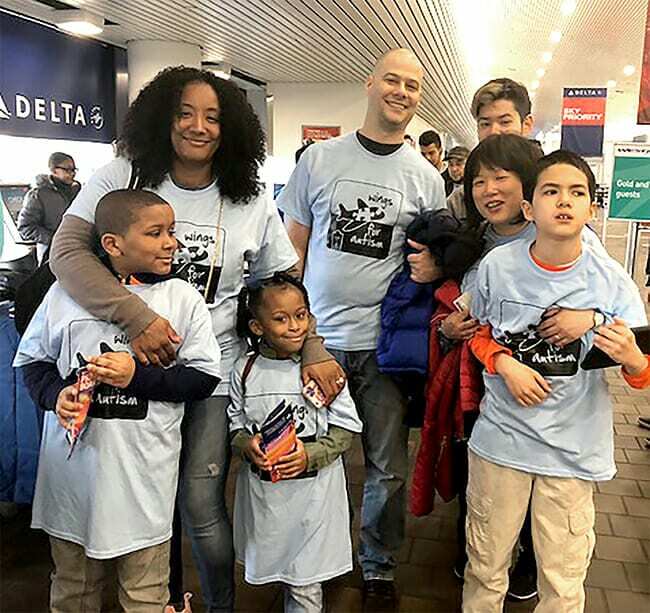 On Saturday, April 28th, AHRC New York City, in collaboration with The Arc, Delta Airlines, the Port Authority of New York and New Jersey, and the Transportation Security Administration (TSA), held their 4th annual Wings for Autism event at LaGuardia International Airport (LGA). Over 20 families and 100 participants came for the event where they were able to rehearse all aspects of air travel. 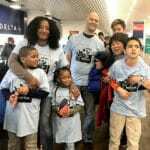 They were supported by 15 volunteers from AHRC New York City schools and Kerry Mauger, Training Coordinator from The Arc. The families arrived around 12:00 pm on what turned out to be a beautiful spring day. 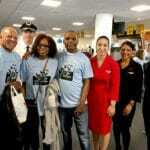 After checking in and receiving their event t-shirts, they received boarding passes and moved through the security line. At the gate, the families ate snacks provided by Delta and took pictures with airline and airport personnel. Boarding started at approximately 1:15. 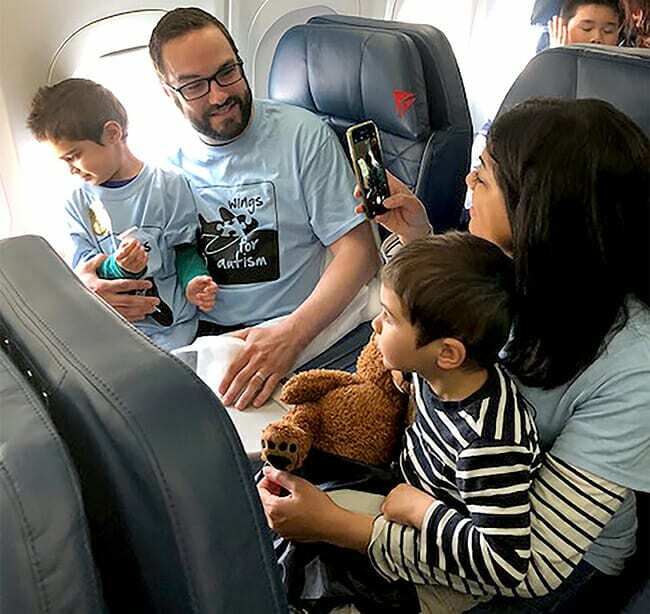 While on the plane, the families were guided through security and safety procedures and also given a visual tour of various on-ground airport job duties. 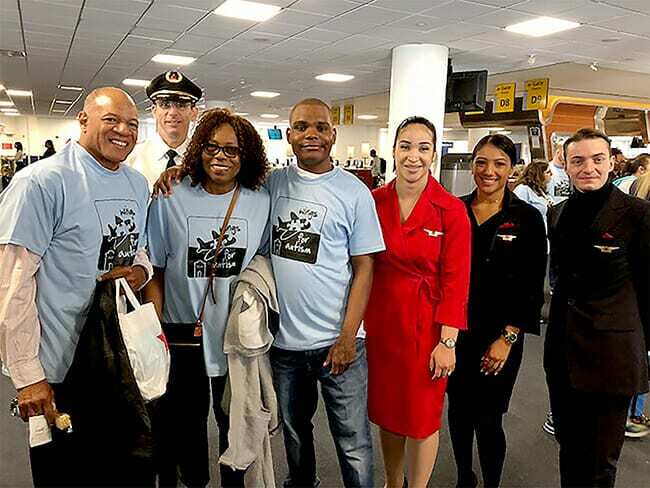 Event coordinator, John Goodson, Education Training Director, would like to thank Jorge Chuzan and his Delta Airlines team as well as Guy Lainis and Veda Simmons from TSA, Emily Shyu from the Port Authority, and Corinne and the AHRC NYC volunteers. Wings for Autism is an initiative of The Arc of the United States. We look forward to holding the event again in April 2019 in recognition of Autism Awareness Month!